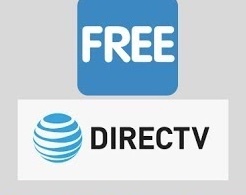 As of January 30, 2019 United announced an additional commitment to the customer experience and will provide free access to DIRECTV™ for everyone. Software will be updated soon which will allow free access automatically. In the mean time Fight Attendants may press the FREE button, located at the 1L control panel, twice within a 5 second timeline to active. Refer to the January 30 United Daily for additional details on this program offering.